Turn your garden or pathway into a winter wonderland with impressive silhouette path lights. Each Christmas tree features bright LEDs with neon flex technology which gives an enchanting green glow. 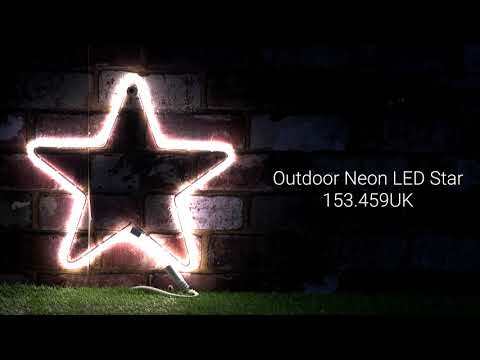 Simply fix into the ground using the attached spikes and create an impressive light display. The perfect addition to your Christmas lighting that's guaranteed to spread festive cheer. Bring festive cheer to your home with this Nordic inspired wooden house decoration. With inbuilt LED battery powered lights, create a warm, illuminating glow on a winter’s night.